 It’s not the most exciting subject, but it’s important that you keep your fundraising safe and legal. We have highlighted some of the most common fundraising legal requirements. Remember, if there’s anything you are not sure about, just get in touch and we’ll be happy to help! You are fundraising in aid of Animal Free Research UK. This means that you are personally responsible for entering into any contractual agreements and cannot act as our representative or sign anything in our name. You will be responsible for paying any fees and expenses involved with your fundraising activity. When you fundraise for us, we ask you to agree to our fundraising terms and conditions. We take the safety of our fundraisers seriously and are committed to making sure that you stay within the law when fundraising. You must be 18 or over to fundraise for Animal Free Research UK. To ensure that all personal data we hold and process is kept safe and treated with respect, we take the General Data Protection Regulations (GDPR) seriously. 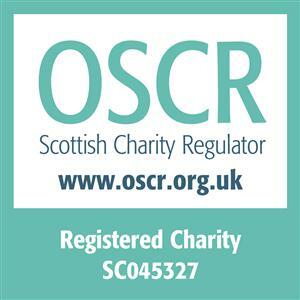 As you may come into contact with personal data whilst fundraising and volunteering for us, this also means that you need to be aware of GDPR rules and regulations. When you fundraise for us we ask you to agree to our GDPR guidance to ensure that any personal data you have access to is also kept safe and treated with respect. We cannot accept any liability for any activity or event held in aid of us. It is your responsibility to ensure that you have the appropriate insurance to cover your event. If your event involves the public, you will need to have public liability insurance. As organisers of a public event, you could be held legally liable for the costs or damages for any injuries which may occur. You may not use our logo to create your own promotional material or create your own fundraising materials. Please use the promotional material provided for you in our fundraising toolkit or sent out to you in the post. There are strict rules which outline the conditions for running raffles or lotteries as set out by the Gambling Commission and require you to register raffles and lotteries. However, if you are planning on holding a raffle that takes place during the course of an event, i.e. the tickets are sold and the raffle drawn during a meeting, fête or party, you do not need to register the raffle. No more than £100 can be spent on organising costs and no more than £500 can be spent on prizes. As the organiser, you are responsible for the health and safety of people attending and working at your event. A safe event can usually be achieved by using common sense, however in some cases and certainly for large scale events there are specific safety requirements which have to be applied. The Health and Safety Executive has some great advice on running an event safely and shows you how to carry out a risk assessment. If you want to provide or sell food at an event, you will need to make sure that the food is safe to eat. The Food Standards Agency has more information about food hygiene at charity events or get in touch with your environmental health department at your local council. Please get in touch at info@animalfreeresearchuk.org if you have any questions.